Biological soil crusts (BSCs) develop when various combinations of diminutive cyanobacteria, eukaryotic algae, non-lichenized fungi, lichens, and/or bryophytes occupy the upper few millimeters of the soil and raw material. They can be present in a wide range of ecological, including successional, and climatic conditions when and where disturbance and/or aridity have resulted in opportunities for colonization. However, they are most prevalent in arid, semiarid and polar ecosystems where vascular plant cover and diversity are characteristically low, leaving large areas available for colonization by some combination of the organismal groups mentioned above. The ecological roles of BSCs are numerous and diverse, and include the collection, accumulation and cycling of essential airborne and soil nutrients, redistribution of precipitated water, and soil formation and stabilization. The nexus of science related to biocrusts and aerobiology strongly suggests that BSCs can become established or reestablished via naturally occurring processes, as BSC propagules are found naturally in the atmosphere, and can be transported very long distances between hemispheres, continents and climates. There remains a gap in understanding the ecological processes surrounding the establishment, re-establishment and development of BSCs in the context of globally heterogeneous biogeographical patterns of the different BSC organisms. A more complete understanding of similarities and dissimilarities in establishment, growth and regeneration of BSCs from different geographical regions is essential in order to fully understand their contribution for ecosystem functioning and services and exploit their potential to improve the health of diverse soils. 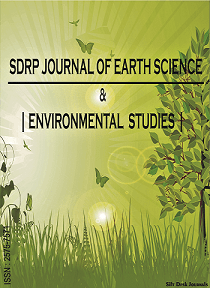 The object of this interdisciplinary Research Topic is to bring together the current research on development of biological soil crusts in natural and human disturbed ecosystems across different climatic regions. We will particularly focus on the distribution, structure and functioning of BSCs and related microbial communities from the organismic biology to ecosystem processes. We particularly encourage inter- and multidisciplinary research approaches linking e.g. molecular biology, organisms biology, ecophysiology, soil science and ecological research.